Conversion process is quite slow as it is not optimized by NIVIDA CUDA, AMD, Multithreading. Visit step-by-step guide to convert video to WebM with Miro Video Converter alternative – Aiseesoft Total Video Converter. Aiseesoft Total Video Converter is the best Miro Video Converter alternative and Miro Video Converter replacement to help you convert video to other popular formats, such as WebM, WebM HD, MP4, MKV, WMV, AVI, H.264/MPEG-4 AVC, FLV, 3GP, DivX, VOB and HD video etc. The Total Video Converter is also multifunctional video editor software comprising functions of trimming video, cropping video playing area, watermarking video, joining video clips, etc. This Total Video Converter provides super fast conversion speed with the NVIDIA® CUDA™ and AMD APP acceleration technology, and multi-core processor. Wondershare Video Converter Ultimate for Mac is the all-in-one Miro Alternative that lets you rip DVDs (including those with copyright protection), convert video and audio files, copy & burn DVDs, and instantly download online video. Do it all in one place and do it faster. Step-by-Step Guide to Convert Video to WebM with Miro Video Converter Alternative – Aiseesoft Total Video Converter. Free download Total Video Converter (For Windows, For Mac). Install and launch the program. 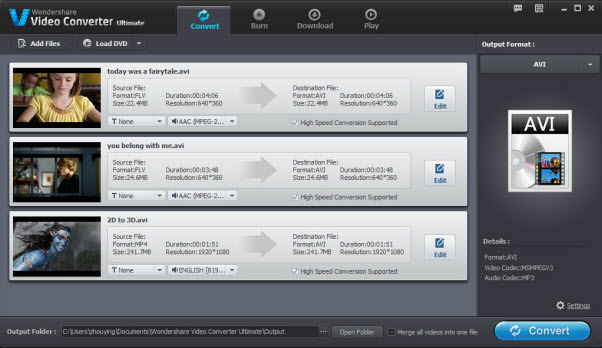 Click “Add Video” button to add files to Total Video Converter for convert. Or you can simply drag and drop your files to program interface. Click “Profile” Drop-down. Choose “Webm – WebM Video (*.webm)” from “General Video” category or “WebM – HD WebM Video (*.webm)” from “HD Video” category. 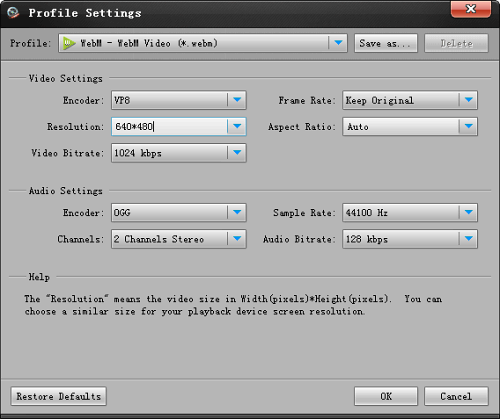 Or you simple search with keywords “webm” in the profile search box to loacate the WebM video profile. The ideal Total WebM Converter also provides advanced functions for you to edit video before converting the video to WebM video format. “Trim” function is for you to trim wanted video clip by setting the start time and end time. Click “Convert” button to finish converting video to WebM, WebM HD format.